This bill would guarantee the United States would never launch a nuclear weapon as a first strike. Since its introduction the No First Use Act has garnered 22 cosponsors in the House and 5 cosponsors in the Senate. Check to see if your representatives have co-sponsored. 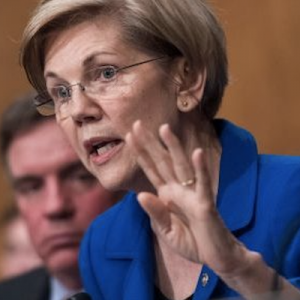 No First Use wasn’t the only important bill to hit the floor in January though; Senator Merkley, alongside Senator Warren and 11 other Senators introduced the Prevention of Arms Race Act of 2019. 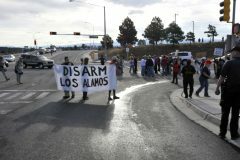 To boil it down to its most important points, the Prevention of Arms Race Act states “President Trump’s announcement of the intent of the United States to withdraw from the INF Treaty, without proper consultation with Congress, is a serious breach of Congress’s proper constitutional role as a co-equal branch of government.” It goes on to call for further work on maintaining the INF treaty, and prohibits funding for the intermediate range missiles the INF treaty banned. With 1.7 trillion dollars already on the line to modernize our current nuclear system, we don’t need to be tacking on the cost of any new weapons! As if intermediate range weapons weren’t enough of a concern, Congress has already started production on low-yield nukes, too! But, there is no such thing as a nuclear weapon. Hold the LYNE (HR.1086/S.401) was introduced in February, and calls for the prohibition of the new Trident D5 low-yield nuclear warhead. No research, no development, no deployment. As it stands today, Representative Ted Lieu’s bill has 27 cosponsors in the House and 7 in the Senate. While this bill has garnered a lot of support from Democrats, not everyone is on board. 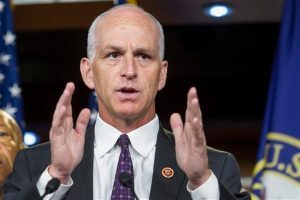 Representative Luria, the Democrat representing Virginia’s second district, went so far as to say that questioning whether or not more nuclear weapons means more security was “dangerous.” We think it’s dangerous to develop more, and so does the chair of the House Armed Services Committee, Rep. Adam Smith (WA-district nine), saying “I don’t get the notion that a low-yield nuclear weapon adds anything to our nuclear deterrent.” We agree! On February 26th Representative Khanna (CA-district seventeen) introduced another house resolution aimed at creating more peace, this time by formally ending the Korean war. H.R.152 calls attention to an important fact; the Armistice Agreement, signed in 1953, neither formally ended the war nor represented a final peaceful settlement. Formally ending this war now is an important step toward a peaceful relationship with North Korea. Next month, your representatives will be back home in your district, making it the perfect time to sit down with them and ask for their support on bills like these! 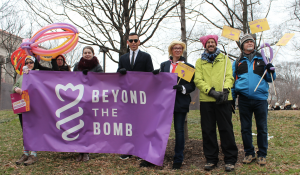 Beyond The Bomb will even be hosting a webinar on 4/14 and 4/17 to walk you through a meeting like this, from start to finish! Check out our guide on meeting with elected officials in the meantime, and RSVP for more information about meeting with your Representative in April! This movement is growing, but we need your feet on the ground to make it happen!